Recently someone ask us whether there had been a roller skating rink on Union Street back in the 40’s or 50’s. We found there was and while doing some digging to answer the question we discovered what a popular pastime roller skating once was in the St. Croix Valley, especially in the late 1800’s. The “roller skating craze” began in the 1880’s after a fellow named James Plimpton redesigned the roller skate. Roller skates had been invented, not surprisingly, by that nation of skaters the Dutch so the Hollanders could to skate during the summer. 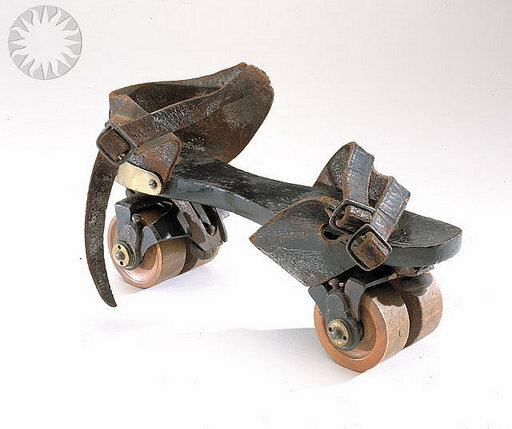 The Dutch “rollers” were one row of barely functional “in-line” wooden wheels from heel to toe like an ice skate blade and not practical for any but the Dutch whose babies wore skates instead of booties. Plimpton designed a skate with two parallel sets of wheels, the base cushioned with rubber to allow flexibility. Later ball bearings were added to the wheels. The user then had at least a fighting chance of staying upright and this was enough to begin the roller skating craze of the 1880’s. Fancy, high society roller rinks first began to pop in the larger cities like London and New York but soon spread to any town with a building large enough to contain the throngs of novice skaters. The St. Croix Valley caught the bug early. “Early in the eighties the roller skating craze swept the country and rinks were built in almost every large place. The craze hit hard in Calais. 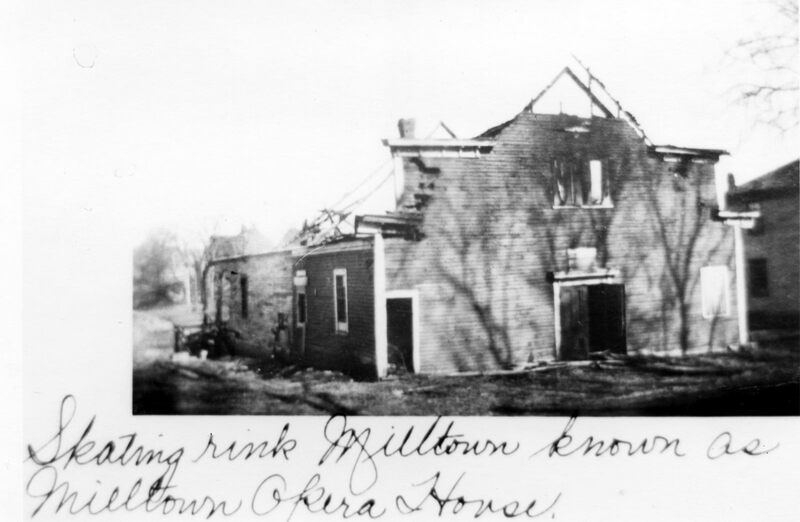 This building burned to the ground in the late 1890’s and was replaced by the brick block that had the Checchi-Pisani store at the Calais Avenue end. The fiery end of the building was to become a common theme for Calais roller rinks. 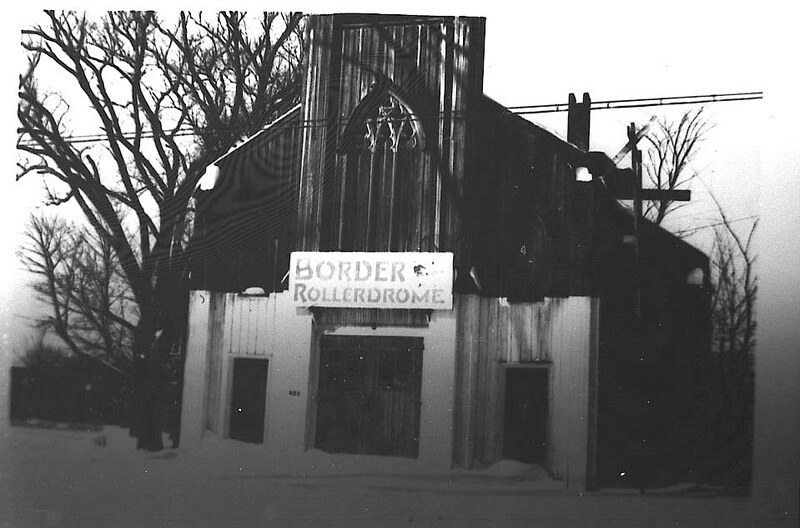 We find no record of a roller rink in St. Stephen in those early years although it is likely one existed. In the 1930’s there is reference to a place called the Crystal Palace outside of town being a dance hall and roller skating rink. We have it on good authority that the local nickname for the Crystal Palace in those early days was “the bucket of blood” and we should probably not comment further on what our cousins across the border were up to in the Crystal Palace. However for historical accuracy we must point out that in 1960 the Crystal Palace was sold to one Norman Acker who was subsequently owner of the Mecca on North Street in Calais. It seems the Crystal Palace and the Mecca had much in common although the Mecca was never, as far as we know, a roller rink. A Mrs. Moraisey from Alexander recalls going roller skating in the building that became the Penny Saver which was also owned by Mr. Acker so there is little doubt the Penny Saver was once the infamous Crystal Palace. Woodland’s had its opera house to double as a roller rink and much else besides. 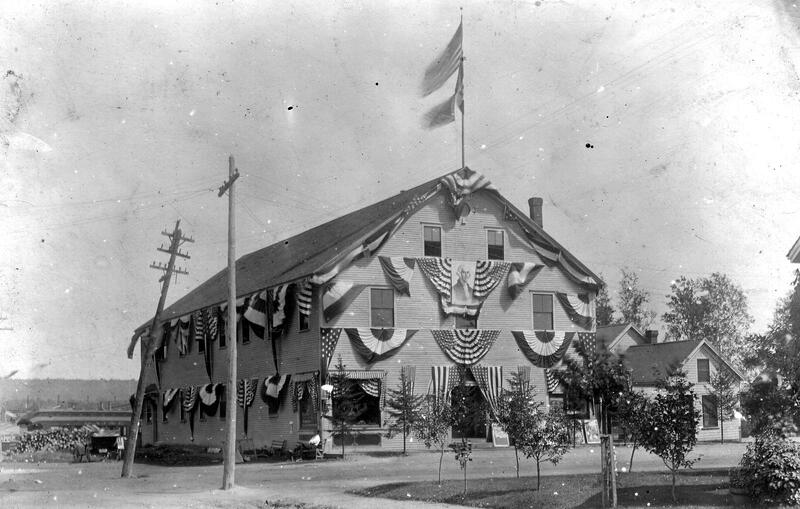 In 1907 Charles Murray erected the building known as the Woodland Opera House and Michael Foggia became the manager. The first floor was used as a store with bowling lanes taking up most one half of the space. 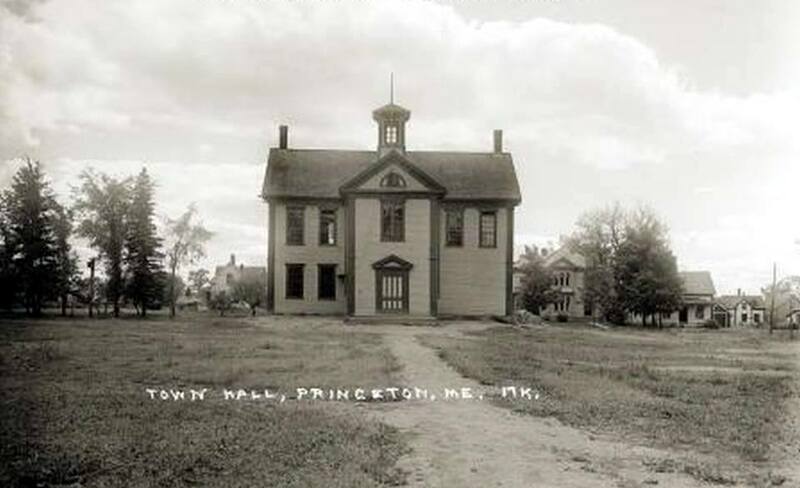 The upper floor was used as a hall for dancing, roller skating, and as an occasional prize fight. 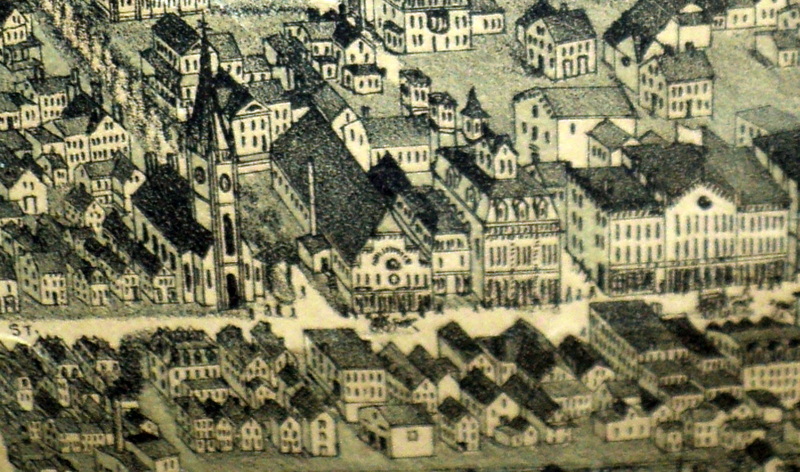 Mike Foggia bought the building in 1911. In 1915, when the moving pictures became a popular form of entertainment the Central Labor Union leased the hall for a movie theater. They operated it until 1930 when Mike took it over and continued its operation until 1956. 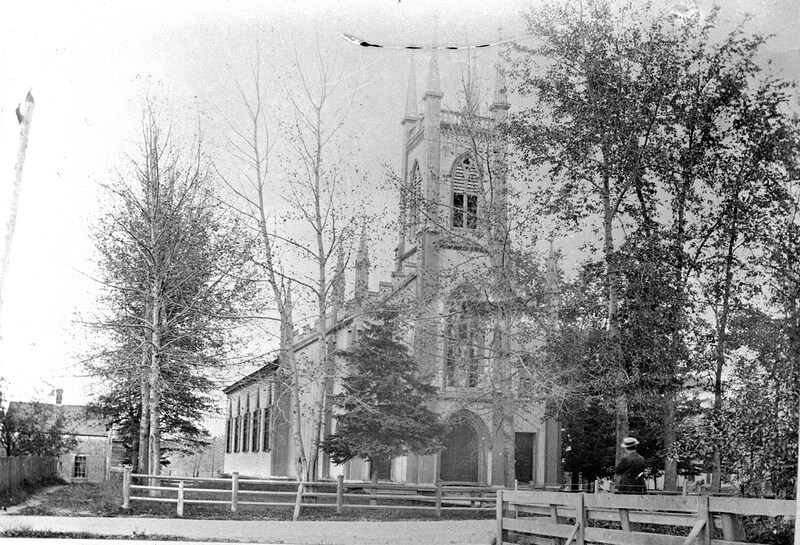 “This is the “old church” as we used to call it on Union St. right beside our home at 113 Union. 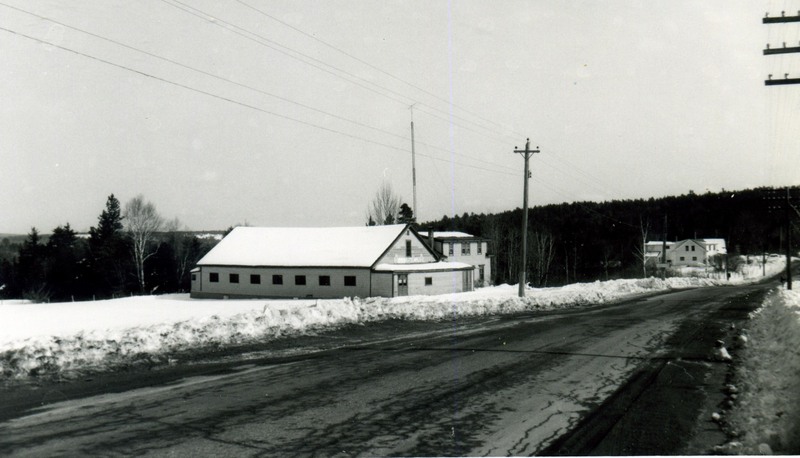 It was used as a storage for some old cars in the late 40’s and early 50’s. My cousin Johnny and I got caught there once when we sneaked inside and were playing bumper cars with some auto jacks on wheels. The way in was through a loose board on a window near the front on the side toward our house. For a while we would sneak in through the back. There was a large door-like opening leading into a level below the main floor. There were big holes in the dirt under the church and we were told that there had been people buried there in years past and that they caskets had been removed when the church closed. We kids always believed that there might be a body or two that had been missed and were still under there so the way in through the back wasn’t used as often. 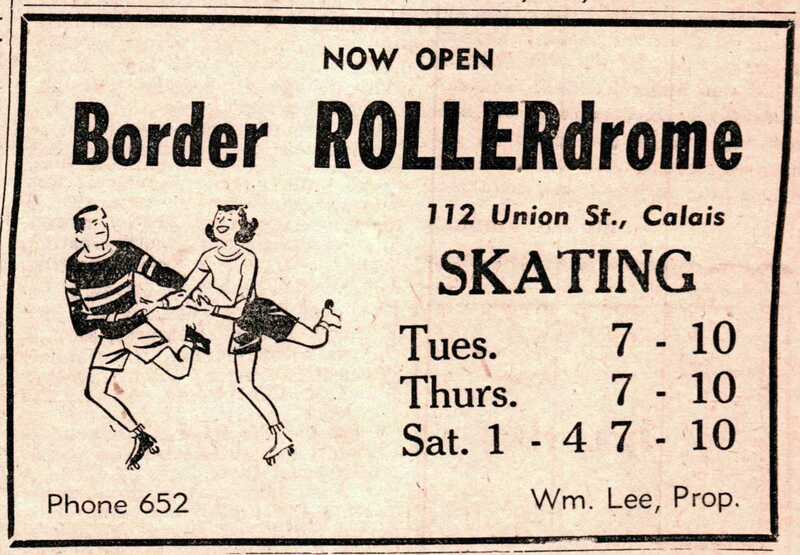 As noted by the Townsends the Union Street “Rollerdrome” suffered the same fate as all the other Calais roller rinks. 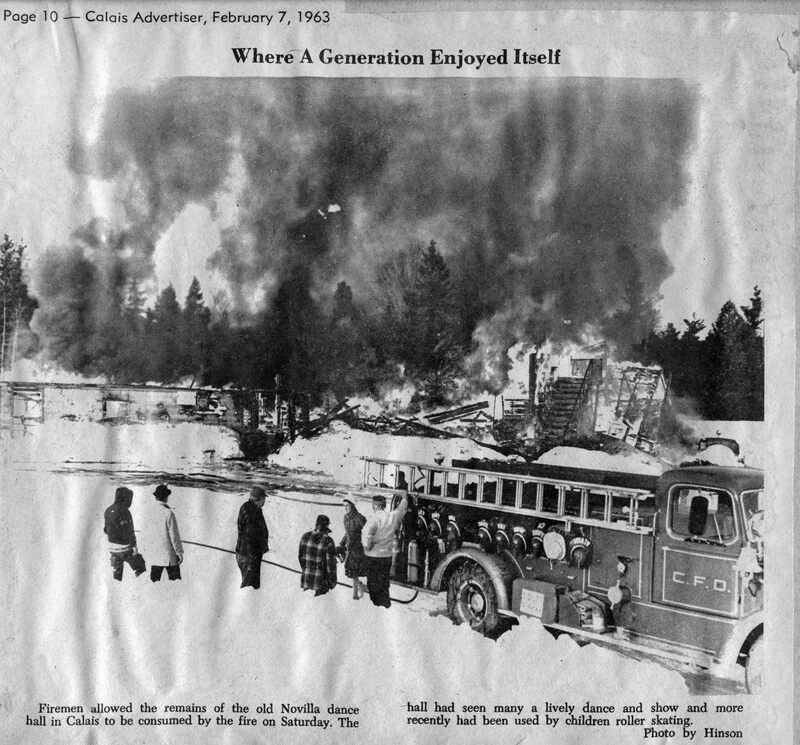 The above photo was taken after the 1966 fire which was started by an arsonist who had, it is said, a grudge against several businesses in town all of which he set afire on one winter night. While there was plenty of circumstantial evidence against the culprit there was not enough direct evidence to charge him. “When the Novilla became a roller-skate rink, the younger crowd in Calais took advantage of the recreation and enjoyed the fun. From home, it was just a few minutes walking distance. I would go once or twice a week if I had fifty cents to rent a pair of skates to use. Eventually I became a skate-boy. I worked two nights a week and Saturday afternoons. I would help the skaters put their skates on their shoes properly. According to the type of shoe they wore, the toe clamps on the skates had to fasten securely to the outer sole or the skater would fall. Some kids would be wearing sneakers so I would use leather straps to be sure the skate was on safely. One advantage of being a skate-boy was I could skate when I was not busy. Lots of pretty gals came to skate so I was able to enjoy the time to talk with them. I do not remember if I got paid for doing the job, anyway I enjoyed skating when I could. 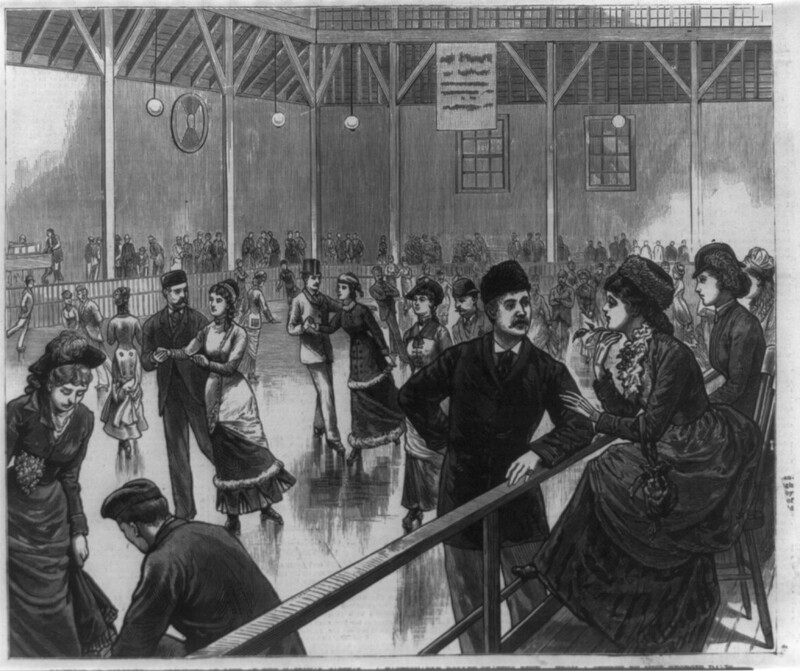 Some nights the crowd was enormous with not enough skates to rent It was essential to skate counter- clockwise or a skater would be removed from the floor by a rink supervisor. Also fast skating was frowned on. The music to skate by was piped in from a record player. We have certainly exhausted this subject but will end with one final thought-if operating a roller skating rink is in your future buy plenty of fire insurance.